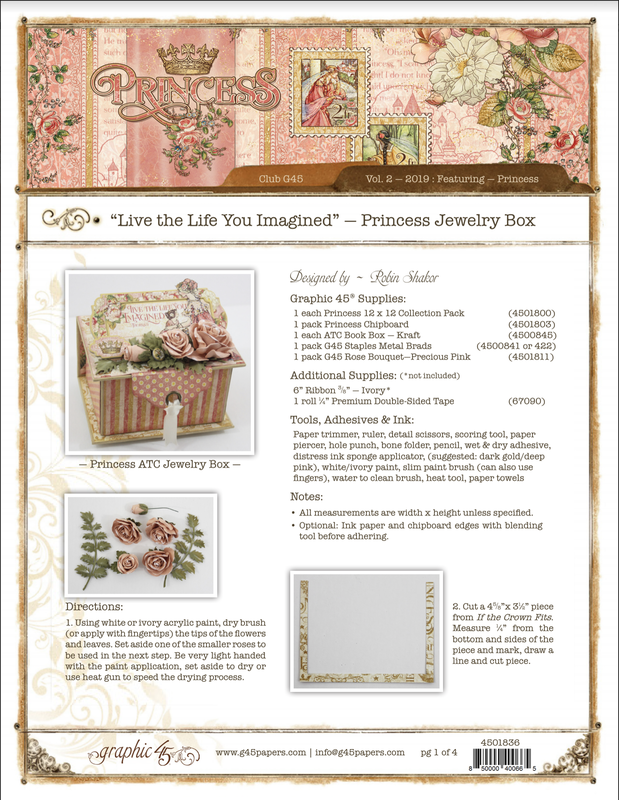 Create a beautiful one-of-a-kind keepsake using the Princess paper collection and ATC Book Box. 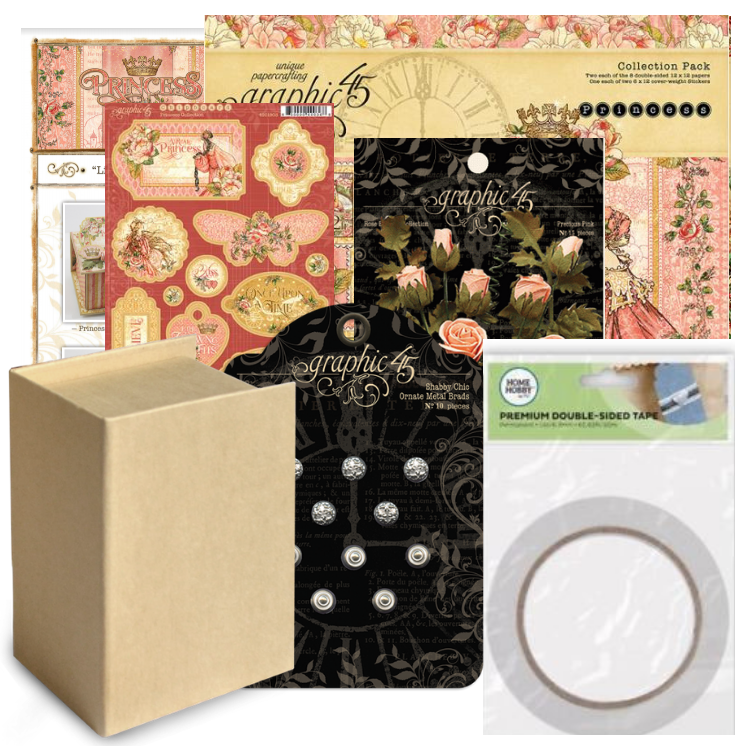 You will create beautiful layers using chipboard and delicate roses which you will highlight using a dry brush technique to add just the perfect touch of elegance. What better way to surprise someone special than with a hand crafted gift to hold trinkets, jewelry and other small treasures. 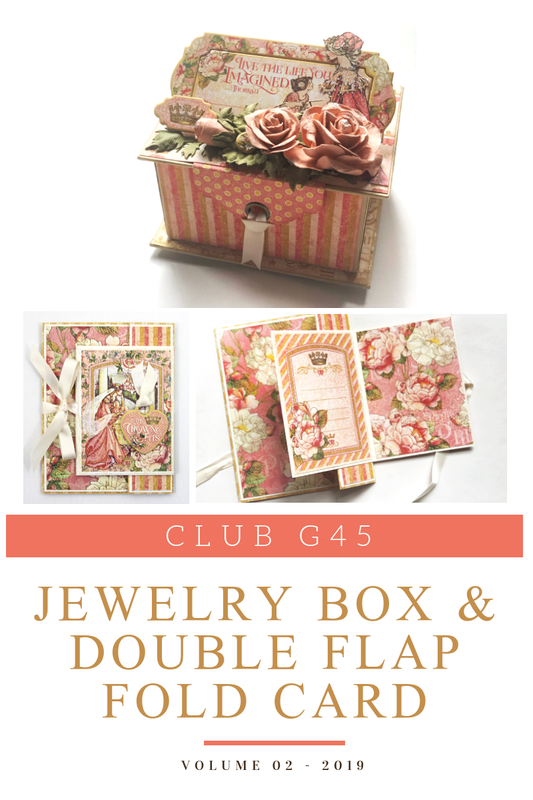 In addition to the jewelry box you can create a beautiful fun fold card using paper folding techniques which are also included in your kit. Delight the recipient with this fun, dimensional card that they are sure to adore for years to come. 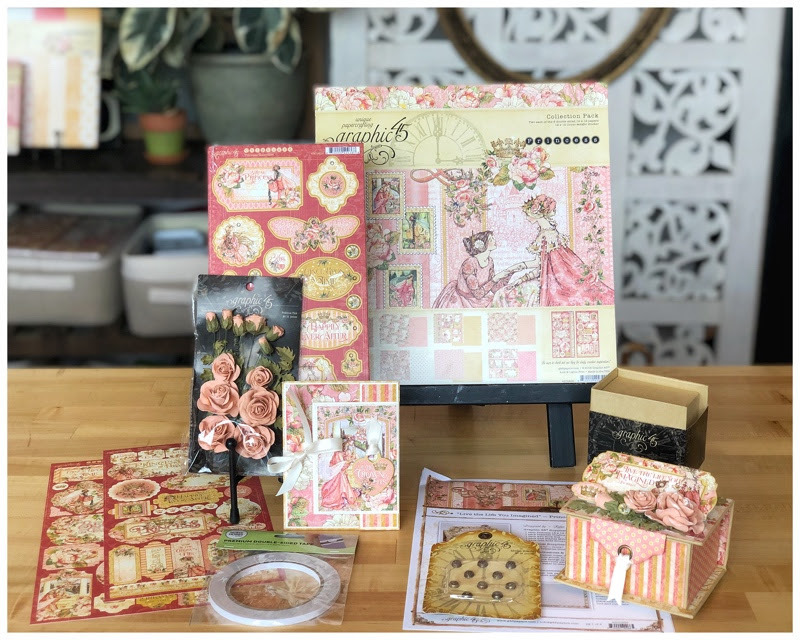 You can use the remaining items in the kit to create tags, scrapbook pages or multiple cards using the paper folding technique that you will learn and more! Let your creativity be your guide! Club Kits are now available for purchase! "I have been an avid paper crafter since February, 2008. I have over 10 years experience as a floral designer but my day job is as a HR Manager. My love of flowers is reflected on most of my projects. I always have the urge to add a flower here or there. I truly love the art of design in all aspects of life. Check your local G45 retailer for kits! *Free shipping only on online orders the contiguous United States. What a beautiful box and I love the card fold too. Thank you so much for all the instructions - lovely !!! This is so special, Robin! Wish I had enough money to join the club & enough time to need a new kit monthly! Love the tutorials which are so inspiring! Beautiful box & lovely card. Loved, loved making the double fold card! Thank you for the wonderful tutorial. The Princess collection is one of my favorites. Beautiful box, I love the unique card fold! OMG! So gorgeous! I must have this beautiful collection!!! Amazing and great tutorial. Thank you for sharing. What beautiful projects using the collection. Wow beautiful work! Love all of it! Thanks for sharing! I can only keep my fingers crossed that there will be a kit left when I get my tax refund! I was planning on ordering the Princess Collection anyhow, but if I can get this kit - WOWIE!